Our firm specializes in the handling of commercial debt collection cases, but occasionally we do take on a consumer case. Friends and clients have often asked what the distinction is between the two classifications. What is the difference between consumer and commercial debt? Let’s start by a simple set of definitions. A consumer debt, which is sometimes called a “retail debt”, is always a debt incurred by individuals in the course of their daily living. It’s easier to think of what it is NOT – it is not based upon transactions between businesses. So, as examples, debts incurred by you to your doctor or dentist or for repairs to your home would be considered consumer debts. However, a businessperson who raises that sort of argument would probably be told by a Judge that he should have known to seek the advice of counsel prior to signing a contract and his failure to do so constitutes his waiver and therefore his signature represents his acceptance and full understanding of the terms and conditions. That’s a simplistic contrast, admittedly, but it demonstrates that a difference based on the competency of the consumer or business should properly exist in our law. What is Covered by Consumer Protection Legislation? 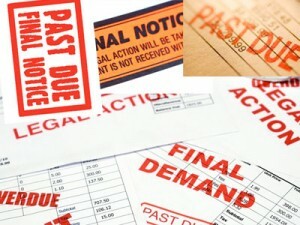 There is a very distinct difference between commercial cases and consumer cases when considering whether or not attempts to collect should or should not be covered by the protections of the federal Fair Debt Collection Practices Act (FDCPA), which is administered by the US Federal Trade Commission (FTC) and US Consumer Financial Protection Bureau (CFPB). Additionally, most States also have agencies which mirror the federal level enforcement authorities and laws. However, in recent years the lines have blurred and any debt collector, whether a law firm or collection company, must be fully competent in understanding the full essence of the consumer legislation and its impact even on commercial debts! I know this example will seem very strange to most readers, but consider it for the sake of illustration of this point. Our law firm might receive a debt for collection against a sole proprietor. In all advertising and on all sales documents the only telephone number shown for the buyer (debtor) is his cell phone number. Well guess again! Recent rulings from the CFPB emphasize that even for a commercial transaction, we would be required to gain the debtor’s permission to leave voicemail messages at that number! Now you better be sitting down for this one: That’s even though law firms are specifically exempted from the Fair Debt Collection Practices Act! So we’re exempted by the statute but are still required to act as though we’re not exempted! How’s that for logic? The lines are increasingly blurred when it comes to who is and who is not covered by consumer protection legislation. Though you might not need to be an expert in that legislation, your debt collector or lawyer must be that expert. His failure to be that expert can lead to an adverse ruling against YOU – the credit grantor because you are responsible for hiring him! On the surface of the distinctions between the two types of debt there is another aspect to consider when viewing a commercial debt; whether or not the debtor is still in business. If a proprietor or the partners of a business go out of business and “skip town”, most debt collectors and lawyer would consider the ongoing debt as a retail or consumer present condition of the debt and would treat the case from that vantage point when considering its fee basis. Typically, the fees charged for collecting a consumer debt are significantly higher than fees charged for a commercial debt. The difference can really be striking. Typical charges for consumer debt collection can range between 1/3 of sums collected to 1/2 of sums collected – While contingent fees for collection of a commercial debt are typically 25% of the first $2,000 collected and 20% thereafter. Those fees are strictly compensation charged for amicable collection (no lawsuit) of the debt. If a lawsuit must be filed there probably would be additional compensation needed for that additional work attendant to the lawsuit PLUS money needed for actual Court disbursements. Certainly, if the debt collector or lawyer is considering a business relationship to represent a creditor who is prepared to offer a high volume of collection placements, lower fees can be arranged in either category because of the economies of scale involved. However, for a one-off case the consumer debt will certainly be treated with a higher fee basis than the commercial debt, primarily because of an expected greater amount of work needed to be done by the collector or lawyer and greater potential liability for the debt collector or lawyer. I’ve tried to keep this blog entry as simple as possible and it certainly doesn’t cover a myriad of nuances involved in consumer protection law. If you want to know more about the FDCPA and rulings by both the FTC and CFPB, consider the link posted beneath this blog entry. There is always the additional caveat to suggest: when in doubt, always seek the advice of counsel. Consumer vs Commercial Collections - Collections Plus, Inc.
What is the statute in California re collection of commercial debt (I’ve been told it’s 4 years)? Mike: Sorry for the late reply. Indeed, it is 4 years from the date of last charge. In many states, the bar date is “4 years from date of last charge or payment” – but not here in California. Here, even a debtor does make a payment, that does NOT extend the bar date – it remains fixed from the date of last charge.